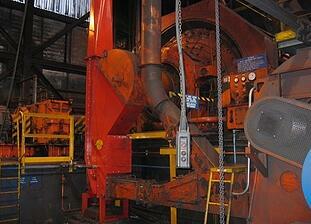 NZAS Aluminium Smelter extends ball mill life by 300% using MVS starter. Located on the Tiwai Peninsula, New Zealand Aluminium Smelters Limited (NZAS) is one of the world’s largest aluminium smelters. The site uses ball mills for carbon grinding as part of the production process. The ball mill was previously started DOL, but experienced periodic breakage of the main gearbox and pinion gear that required expensive repairs and a spare gearbox on standby at all times. Site engineers also had concerns around their insurance coverage of damage to the mill ring gear drive chain. NZAS hoped that by replacing the DOL start and thus removing the mechanical and electrical stress, it would dramatically improve the reliability of the gearbox/system drive. For a smooth start, AuCom supplied and commissioned a 3.3 kV, 400A MVS soft starter. The existing customer panel was retained as the line start section of the installation, but AuCom also supplied fuses, a bypass contactor and a cable earth switch. Benefits include the decreased mechanical stresses which also extended the life of the drive components, improved monitoring, and easy isolation via the output motor isolation switch. Gearbox rebuilds were costing up to USD$100,000 and had never lasted more than 12 months in the past. But the smooth start provided by the MVS extended life by more than 3 times. NZAS has become the world’s largest supplier of high purity aluminium. 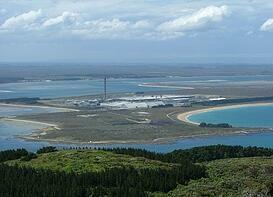 NZAS is one of the 20 largest aluminium smelters in the world. It produces more than 330,000 tonnes annually. Located near the Manapouri Power Station, electricity is received at 220,000 volts AC but is converted to DC on site. AuCom installed a 3.3 kV MVS soft starter to ease mechanical and electrical stresses on the ball mill. NZAS also use AuCom CSX, IMS2 and EMX3 soft starters.